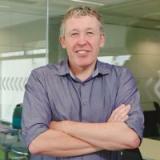 John is working within the new BI & Big Data team for Global Telefonica (SA). John is responsible for: Developing Global and local strategies for Big Data deployment across Europe and Latam driven by business use cases through new technology platforms. Global development,deployment and piloting of centrally designed analytical models. Best Practise knowledge share across all Telefonica companies. Line Management responsibility of central Data Scientist team.